5th International Conference of the Linguistic Assocaition of Pakistan is to be held in 2019. 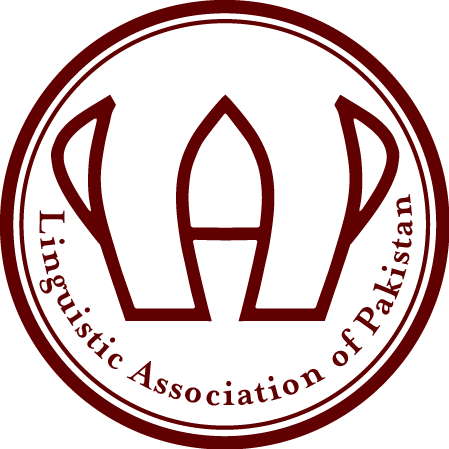 The history of the national linguistic organizations in the subcontinent starts back in 1928 when the Linguistic Society of India (LSI) was founded in Lahore at the fifth Oriental Conference. Pakistan appeared on the map of the world in 1947 and long time after the partition, the Linguistic Research Group of Pakistan (LRGP) emerged in 1960s. This group organized two conferences on linguistics and published their proceedings and also some other important items on language and linguistics. Unfortunately the LRGP group could only continue its activities for a few years and then there was a large gap in which no organization was active in the promotion of linguistic research in the country. In 1988 the then faculty of the Department of English at Bahauddin Zakariya University, Multan, after their utmost efforts, succeeded in establishing the Linguistic Association of Pakistan (LAP). The purpose was to convene the linguists and language enthusiasts from all over the country on a single platform and promote the scientific study of the languages of Pakistan alongside other modern languages of the world. A journal of the association was launched with the name of Pakistan Journal of Language. Due to some financial and managerial problems, the activities of LAP remained discontinued from year 2007 to 2013. In 2014, however, linguists from around the country decided to revive the association and make it more active than ever.